Brewster Ambulance Service conducts frequent open-houses, inviting the public to see our state-of-the-art headquarters, our emergency dispatch system and to also learn what to do in the event of an emergency in the home. We encourage local families to visit with our entire family to learn how to be prepared in the event of a medical emergency or natural disaster. We offer a variety of educational programs for the community as well as our customers for their staff. Our classes follow guidelines set by the American Safety and Health Institute. This is a community and workplace program which teaches how to properly apply first aid. 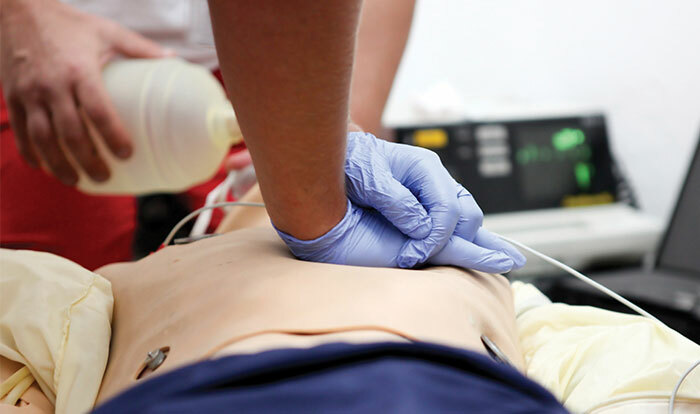 These teachable skills are designed to save lives and to reduce recovery time. Basic first aid is defined as assessments of interventions that can be performed with minimal or no medical equipment. A first aid provider is defined as someone with no formal training in first aid. The CABS program stresses the priority to keep you and the children you care for safe. Babysitting in not just “watching” the children, but being responsible for their safety and well being. rewster Ambulance Service conducts frequent open-houses and invites the public to see our state-of-the-art headquarters, the E-911 system and to learn what to do in the event of an emergency at home. We encourage local families to visit with the entire Brewster family and learn easy tips so be better prepared in the event of a medical or traumatic event. © 2019 Brewster Ambulance Service. Brewster Ambulance Service provides 911 emergency, Basic Life Support (BLS) and Advanced Life Support (ALS) medical transport service to towns, hospitals, medical treatment clinics, rehabilitation centers and nursing homes. We are licensed to transport throughout southeastern Massachusetts, with extensive coverage in greater Boston and surrounding towns, including the Metro West area, south shore and southeastern coast.